Over at Play Asia they have a US copy of Bangai-O Spirits going for a very good price indeed. Admittedly, they also stock the Japanese version too, but that’s a bit pricier and obviously not localised into English. 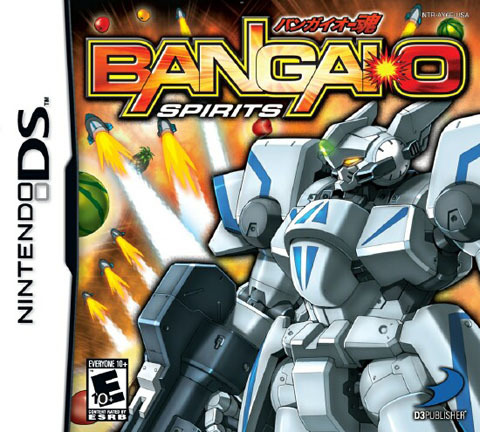 If you’re at all curious about the Bangai-O series of games, then we have a very comprehensive feature that not only covers the gaming origins but also the wider mecha pantheon influences too (the latter is often disappointingly overlooked by most gaming sites, despite the fact they have a tangible presence in the games). Thanks to Tiny Cartridge for the heads up on the Play Asia deal. Bandai have recently released a new Nintendo DS stylus set and DSi pouch via their Plex subsidiary. 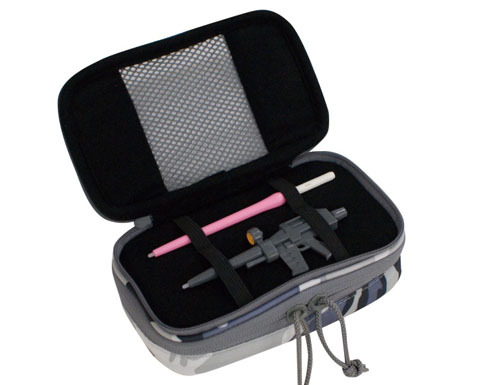 Entitled the “Touch Pen G” set, the package contains two styluses, both from the RX-78-2 Gundam’s weapon loadout; that of its beam sabre and beam rifle. Following on from that there are two DSi pouches called the “Smart Pouch G” set, in either Federation or Zeon colours. Admittedly, the Gundam’s beam sabre and rifle may look a tad odd within a Zeon styled pouch but it’s a small sacrifice when you think that each time you touch your DS screen you can shout in your best Tohru Furuya impression; “soko da!”. Over at Play Asia, there are a bunch of lovely mecha games going at a discounted price. Some of them are also quite rare. Such as the Dreamcast Gundam Rise from the Ashes Premium Disc, this was originally sold directly to fans via a coupon from the original game and then only in Japan (if you’re curious about the full game, we’ve already reviewed it). You then have the even rarer Macross Eternal Love Song, a classic NCS strategy game on the PC Engine – so very much in the spirit of Langrisser in case you’re wondering. Finally, the more recent Emblem of Gundam and Super Robot Wars K on the Nintendo DS should also keep your strategy leanings satiated. 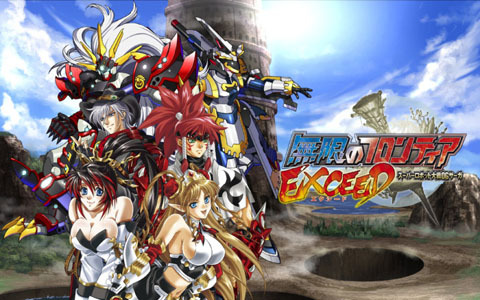 The upcoming DS bound Super Robot Wars Original Generation spin-off Endless Frontier Exceed has been given a new promo video. This is more your traditional RPG fare, rather than the turn based strategy that the series is normally based around. The big difference with the Endless Frontier games is also how they depict the human characters in game, as they’re not disembodied pilots. Considering that this doesn’t use licensed mecha, like its precursor, Exceed will most probably get a Western release at some point. The game is released on February 25th next year but there is also a limited edition version that offers a soundtrack CD, artbook and additional software features (of which the latter are currently secret). In this week’s issue of Famitsu, Banpresto announced the upcoming sequel to Endless Frontier that was released on the DS last year. Unlike other Super Robot Wars games, Endless Frontier wasn’t focused around turn based strategy and you could control the human protagonists directly. Naturally, as being part of the Original Generation (or OG) line-up none of the mecha featured are from anime series but instead created in-house by Banpresto themselves. 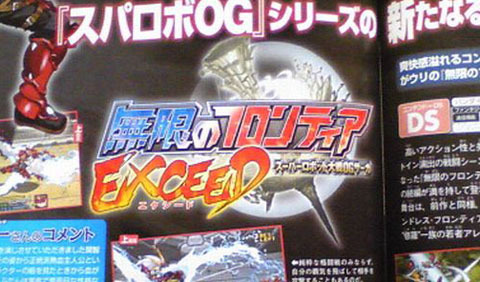 In Exceed apparently the world is the one formed by several worlds altogether, from the ending of the first game. There’s also a good chance that this will be released abroad, as the rights surrounding the OG mecha are considerably easier to negotiate. 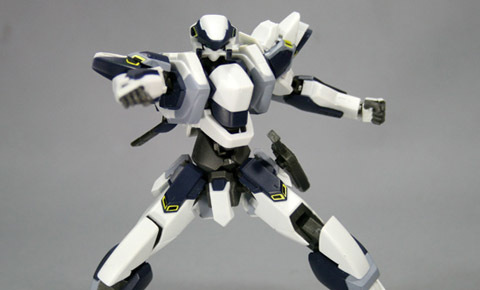 The recently released Robot Damashii toy of the ARX-7 Arbalest from Full Metal Panic! has been covered over at R-Side. Much like all other Robot Damashii toys, the Arbalest looks suitably poseable and well sculpted despite the cheaper cost and smaller size. The Arbalest was featured in both Super Robot Wars J and W.
Interestingly, the mecha designer responsible for this design, Kanetake Ebikawa, also penned the titular mobile suits in the recent Gundam 00 (notably that of the Exia and the 00 Gundam itself). In addition, Ebikawa has helmed the mecha design for the upcoming PSP shooter, Darius Burst.